Good360 is quick to remind our partners that disaster recovery is a long-term process. While many people think it may take weeks or perhaps months, getting survivors back to where they were before the disaster often takes years. Two of the main contributing factors to the lengthy recovery time are the availability of supplies and the availability of workers. 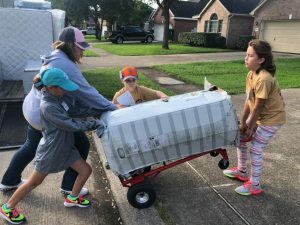 Eight Days of Hope, a nonprofit organization and long-time partner of Good360, looks to solve these problems through their work in disaster zones. Eight Days of Hope (EDOH) helps accelerate recovery through an 8-day event that they hold in areas hit by disaster. The organization gathers volunteers and supplies, sets up a staging area, and spends eight days rebuilding homes and providing furniture to disaster survivors. EDOH’s program helps speed up recovery in an area because they focus on a specific number of survivors, and their work eases the burden on other disaster recovery groups by helping people get back to normal faster. Recently, EDOH held an event in Dickinson, TX. This area was hit with significant flooding from Hurricane Harvey; some estimates say that 80% of households were affected. Although recovery has been progressing, it has been slow. 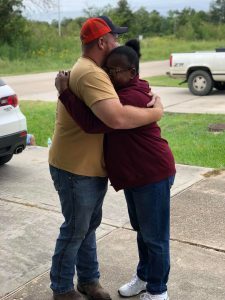 Good360 has been working in Dickinson as part of its larger effort to help southeast Texas recover. 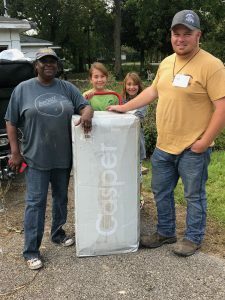 Partners like Casper have been active collaborators in our long-term recovery efforts, and Casper mattresses were an integral part of EDOH’s most recent event. Casper’s donation and EDOH’s hard work directly contributed to the recovery of 80 families throughout Dickinson. In just over a week, these two organizations were able to significantly impact the recovery effort in a community that was in extreme need. With the number of natural disasters experienced over the past two years, public attention has drifted away from Hurricane Harvey. However, survivors whose homes were flooded are still very deep in the rebuilding phase – their work does not end because the media coverage does. Many organizations and companies are still very aware of the need and are doing everything they can to help. Good360 is proud to continue working alongside these organizations throughout Texas to help bring communities back to a place of resiliency.